By LUDWIG VON KOOPA - Plus, other interesting information from their investor relations releases today. We last got to hear some Nintendo-related consolidated financials back at the start of February, and I was pretty disgruntled back then. Now Nintendo's fiscal year is over, and we're on a new one. That means we get some more information about hopefully-interesting things. Since February, Mario Party 10 has managed to outsell The Legend of Zelda: Wind Waker HD in total sales! ...Whatever. That's sooner than I expected, as I'll mention at the end of the article. And might be later than YOU expected. Nintendo also projects to get 500 billion yen in revenue over the next year, which is actually less than what they've gotten over the past year. Impressively enough, their cost of goods sold is proportionately less than before. What that basically means is that as Nintendo keeps selling things digitally and more and more customers buy less games physically, Nintendo gets to keep more money. That's as you would expect, and it's why Nintendo is doing all of these digital purchasing initiatives and My Nintendo. Since they won't lower the MSRP of the games, they can afford (well, in light of these results, not really) to pass along the cost-savings in the form of loyalty coupons. If you really wanted to, you could guesstimate how many NX they're planning to sell in-between whatever day of March 2017 it's released, and March 31, 2017. I wouldn't try. The Wii U will not be stopping production until 2018, according to Nintendo president Tatsumi Kimishima quoted by Reuters. It has officially taken Reuters over a month to correct their story that Nintendo would stop Wii U production in 2016. And they're not even acknowledging their earlier misinformed reporting. It's like it never happened. Seriously: Don't trust the mainstream media. They're awful and shameless. I hope this list gets added to soon, because it's pretty weak. Oh. Joy. 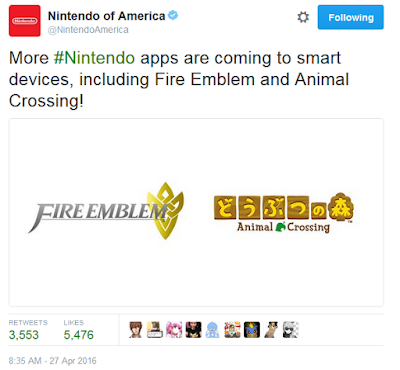 Fire Emblem and Animal Crossing on mobile. Yup, that's exactly the home console iterations we want. Wait for tomorrow's article to read my thoughts on what Nintendo is going to do for this E3 2016. It's... very interesting and controversial. And necessary to discuss. Perfect KoopaTV article material. Until then, it was just announced that Nintendo of America will also be selling its portion of the Seattle Mariners baseball team. They're not having a good day, are they? Then again, all that was ever good for was an interesting bit of trivia you could tell your friends. “Hey, did you know Nintendo owns part of the Seattle Mariners?” “Oh. No.” “Well, they do!” “Okay. Cool, I guess.” Whatever amount of money they'll make from the deal is probably worth more than that. Ludwig also isn't having a good day. Cheer him up, okay? And let him know what you think of the day's events so far. There could be more to come! Do you think Nintendo is abandoning the Wii U too early? Does it deserve this treatment? Are you concerned we don't know anything true about the NX yet, or does that excite you? Do you have any hype for this company remaining? Here is that article about Ludwig's thoughts on what Nintendo may do for E3 2016. Ludwig talks in more detail about Nintendo's mobile plans here. 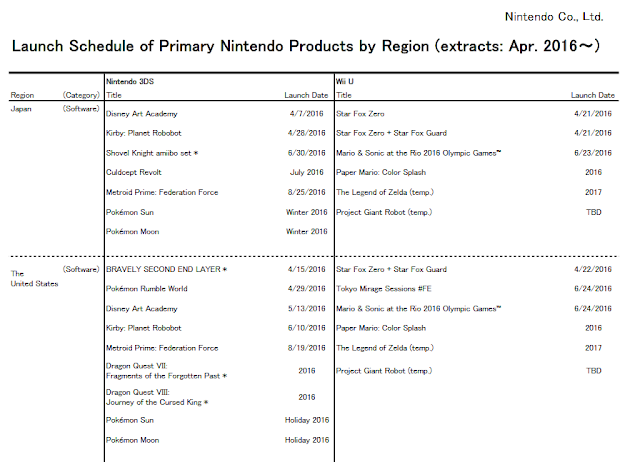 The NX, now renamed, is still scheduled for March 2017. Apparently, March 2018 means nothing to the media, which is happy to report production will end November 2016. WRONG. The Legend of Zelda: Breath of the Wild is launching March 3, 2017 — the same day the Nintendo Switch is releasing. As promised, the Nintendo Switch has released March 3rd, 2017. Next year at this time, Fiscal Year 2017 is complete and we get more information about how well the Nintendo Switch sold. 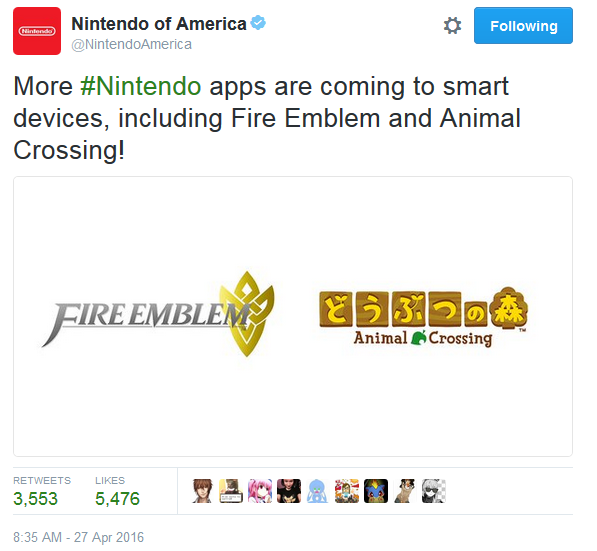 For more information on the Animal Crossing mobile game, click here.